Tanana Internet | United Utilities, Inc.
We have a variety of plans for you to choose from, starting as low as $29.99 per month. UUI Internet offers a $34.25 discount on Lifeline Broadband service in Tanana. 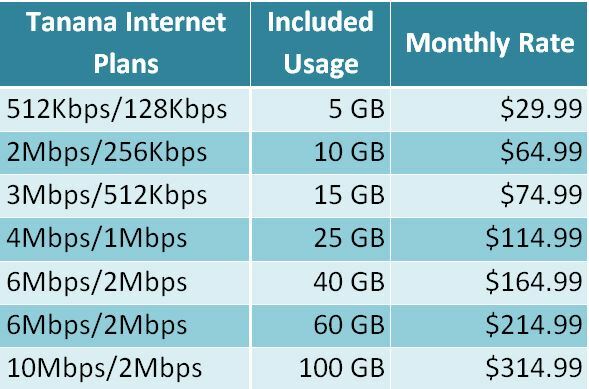 Lifeline is available for $280.74 per month on 10Mbps/2Mbps with 100GB. Call Customer Care for information and requirements. More information is available on our Lifeline page.